Have had these for sale for a few weeks locally and no bites, seems as though I would basically have to give them away to get rid of them. They have been unused for about a month. I bought these new in February of last year. I got a new pair from Polk under warranty in Or around April. 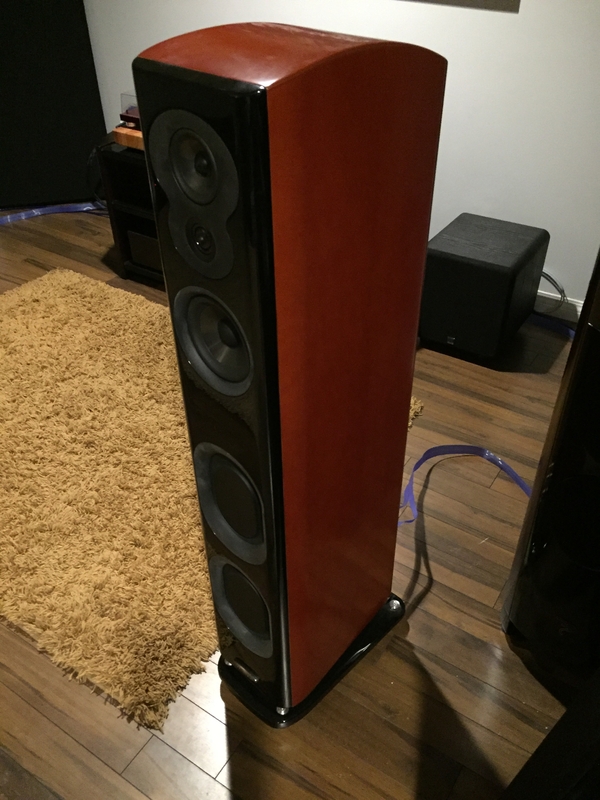 Asking 1600 cad, I'm taking a huge hit on these but need them gone. I haven't been pushing to hard to sell them, but I'm kind of pi$$ed off because I dug these out of the boxes, moved my electras and hooked these up for a buyer to bail out 15 minutes before he was supposed to show. Might be no point to posting this ad here as everyone knows these are heavy, and shipping them across the country or across the US makes me nervous. The 706 I shipped barely made it out alive, with only a small ding to the bottom of the cabinet, the box was trashed. 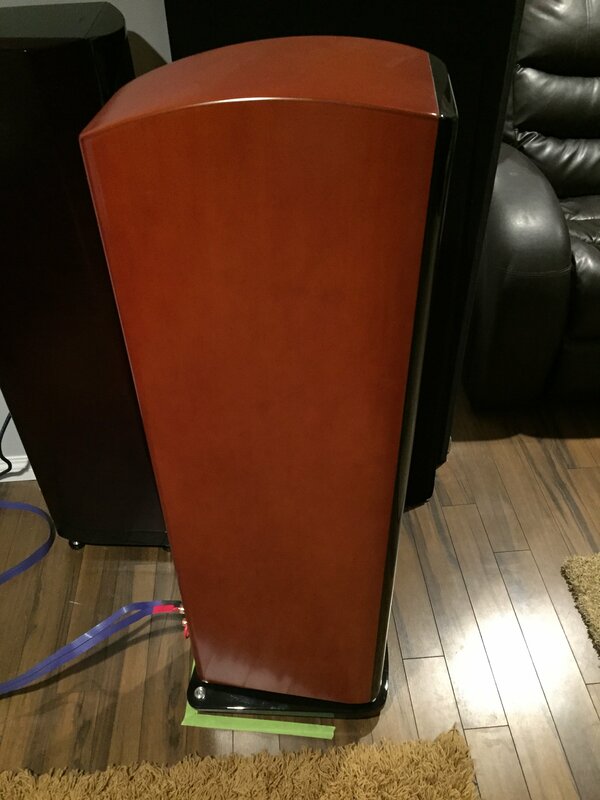 Thankfully the speaker made it out ok, and the buyer was cool about it. But I believe the 705's are packed a little better. These are mint. Apparently I took lots of pics of the right one lol. The lighting is really bad in my basement. The left is in as mint of shape as the right. The bases are a little dusty, not marked up at all. Living room for a while as furniture. Packed them up to unpack them again hahaha. Won't do that again! They are gorgeous though. 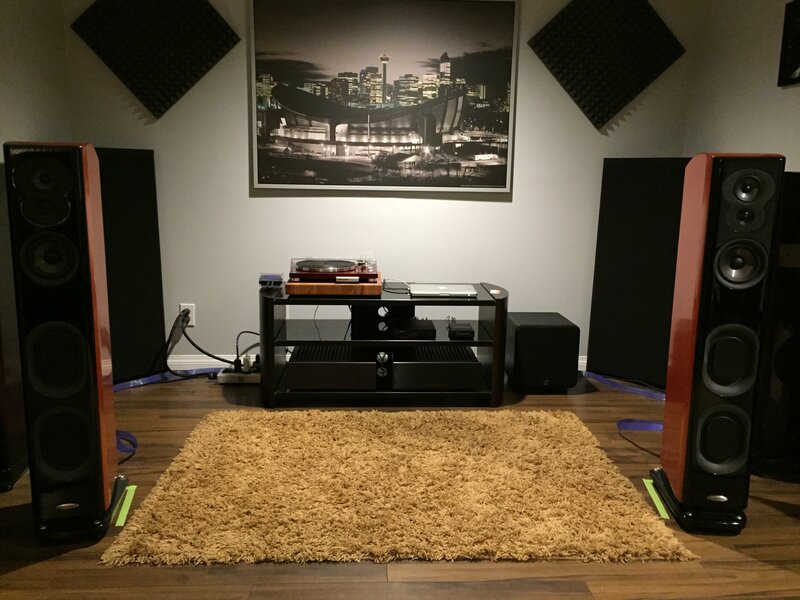 Might as well listen to them for a few days, they sound great in this space. I spent way too long getting the toe just right with the electras, and works great with the 705's! My wallet is glad you live on the other side of the country! I own a pair of these already or I would be all over it - good luck! How do these compare to the 707's? I was looking for the 705's and ran across the 707's for a good price and bought them however they are BIG!! I haven't listened to the 707's to compare. The 705's are quite big, deeper and taller than my electras. I have left these set up and been listening to them all week. 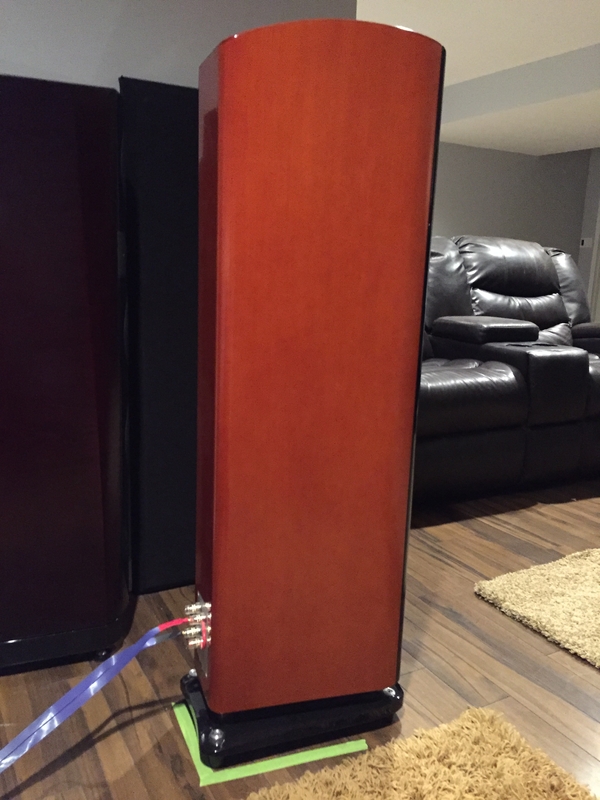 They sound better in my new basement spot than another place I had them set up in my house. Tomorrow night they will be unhooked and swapped for the focals. I am driving the 707's with an Emotiva XPA-2 which I think should be sufficient. Of course "more power" is always nice. Sunday bump. I had someone coming to look at these yesterday. Another no call, no show! Man is that frustrating! I will spilt shipping with any interested Canadian polkies, within reason of course. Excuse me while I go rob a bank...LOL! If these are still around in a month or so when I save up enough for them...I'll come get em Mike. You should be all over this pal. Throw in some back bacon to seal the deal. To a friend.... For wayyy to cheap. 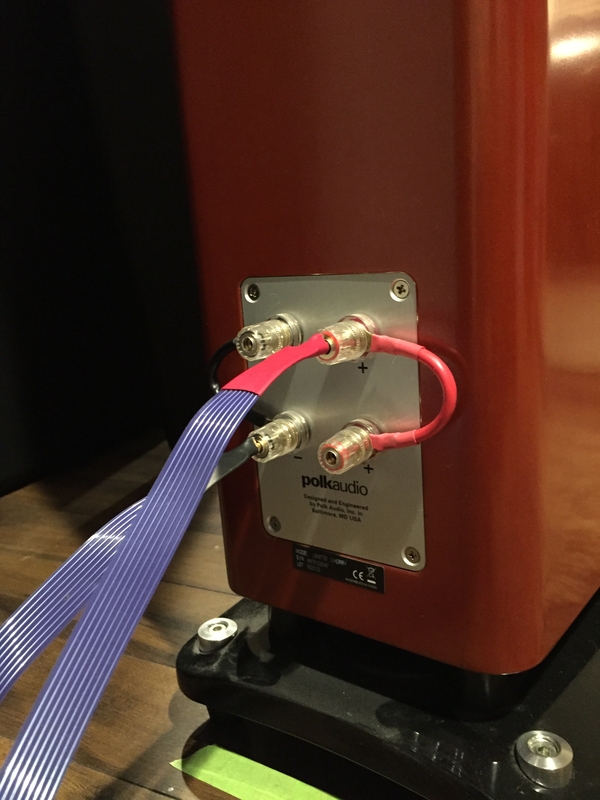 Buy back from Polk audio on Ebay. $1530 Shipped after extra 10% off on all lsiM - 2% back eBucks(Yesterday was 8%). 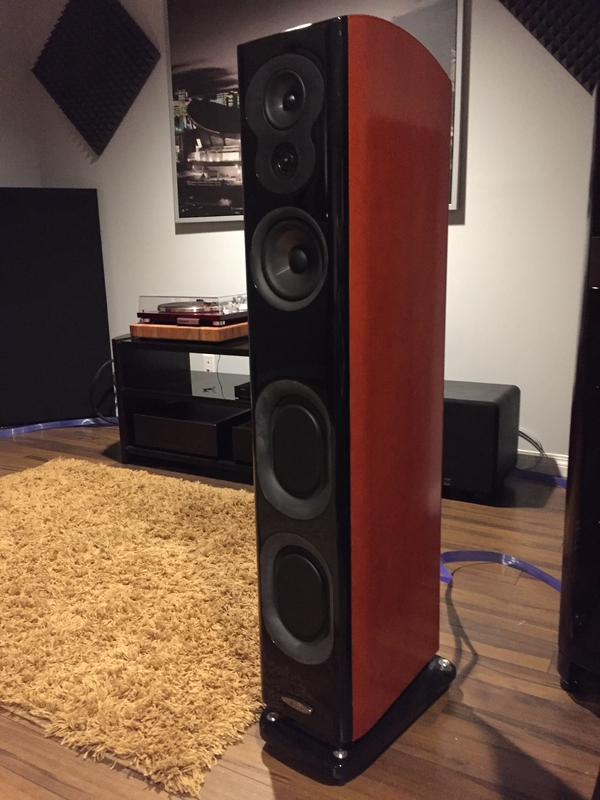 Which Focal are you suggesting? The selling price was Canadian funds. So do the math on that one (current conversion was about 1000 bucks usd). Or read the post from the beginning. Thanks for educating us.